At least 2 YubiKeys. I recommend the YubiKey 4 or YubiKey Neo. Personally, I don’t like the YubiKey Nano 4, because it suggest being left in a computer, which reduces its value as a second factor. The FIDO U2F Security Key will not work for this. Insert each YubiKey, and click "Write Configuration"
Under the General tab, Change Master Password. For your new master password, type a good password (it can be your current password), followed by the password in your YubiKey. This is the only time you will have to type the YubiKey password. Now when you log into LastPass, you will type your password, insert your YubiKey, press the YubiKey button for 2 seconds. The YubiKey will type its portion of your master password and <enter>. 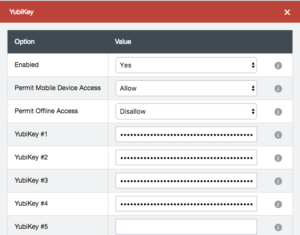 LastPass will prompt you for your second factor. Use a short press on the YubiKey button to enter the YubiKey OTP code. Since my iPhone SE is not compatible with YubiKeys, I had to take a different approach. 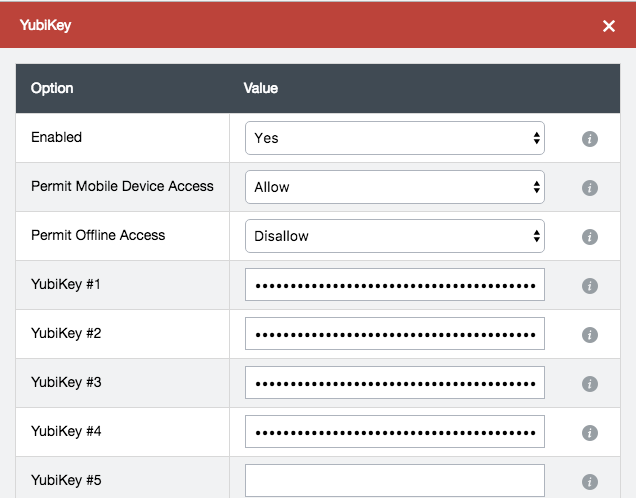 This one phone is the only mobile device allowed to access my account (restricted by UUID). I authorized it using the Google Authenticator app before disabling Google Authenticator. My phone is protected by TouchID and the LastPass app is protected by a PIN. I store the "YubiKey portion" of my master password in NoteCrypt which is proteced by a different/shorter password. NoteCrypt https://itunes.apple.com/tc/app/notecrypt-encrypted-notes/id897154139 which appears to be developed by Tom King (LinkedIn). While I can’t audit what NoteCrypt actually does, it says all of the right things about encryption and password based key derivation. It also costs $2.99, so there is an economic model that doesn’t involve ads or selling of user data. Finally, the developer’s LinkedIn profile looks respectable. This entry was posted in Tip, Web and tagged lastpass, two-factor, yubico, yubikey on November 4, 2017 by Kenji Yoshino.